As a student at the Sorbonne, I hadn’t been going up the down staircase more than a few moments when I realized from the rumble of voices around me that the French taught me by my university professors was going to be inadequate for some of my most basic day-to-day needs: food, drink, sleep, lodgings, socializing and a host of unmentionables. My passive and active vocabularies might have been suitable for Molière, but in dealing with that ubiquitous Man in the Street, I was at a distinct disadvantage. At the nearest bookstore, the “slang” dictionaries I found were probably better described as collections of idioms and “colorful” language rather than straight talk. 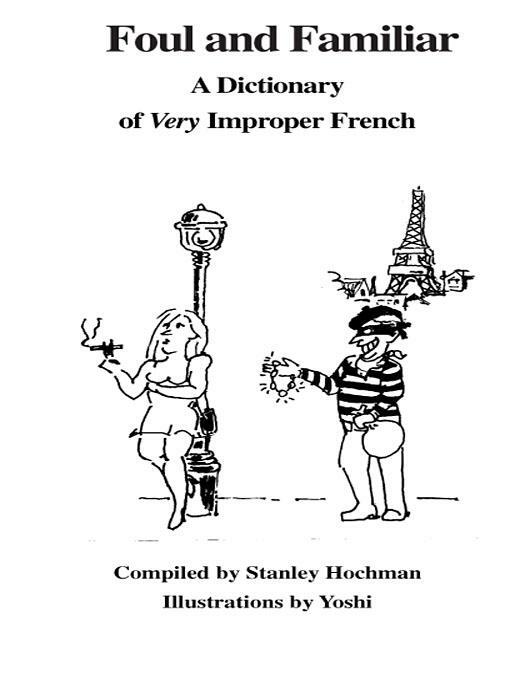 Rather than curse the darknesss, I decided to light a candle, and began making salty notes for what evenually became Foul and Familiar: A Dictionary of Very Improper French, the slang dictionary I had hoped to find on the Boulevard St. Michel the day I arrived in Paris. or UK Kindle edition or Deutschland Kindle edition.